Mr. Houston has served as a director of the Company since July 1998 and as Chairman of the Board since July 2013. Since 1991, Mr. Houston has been the principal of Houston Financial, a firm providing wealth management products and services with a focus on the energy sector. Since 2000, Mr. Houston has managed a mineral trust with approximately 9,200 net acres in Oklahoma, Texas, Kansas and New Mexico, which includes responsibility for leasing and production matters. 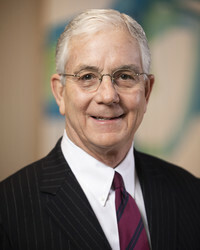 Mr. Houston served on the board of directors and executive committee of Deaconess Hospital, Oklahoma City, Oklahoma, from January 1993 until December 2008. Mr. Houston has served as the lead director on the board of directors of Diamondback Energy, Inc. (Nasdaq Global Market: FANG) since October 2012, is a member of its audit and compensation committees and is the chair of its nominating and corporate governance committee. He also served as a director of Bronco Drilling Company from May 2005 until December 2010 and was a member of its audit committee. Mr. Houston received a Bachelor of Science Degree in business from Oklahoma State University and a graduate degree in banking from Louisiana State University. Mr. Houston was recognized as a Top 100 Graduate of the College of Business at Oklahoma State University in the last 100 years and served on the faculty of the Louisiana State University Graduate School of Banking from 1980 to 1981. Mr. Morris has served as a director of the Company since August 4, 2014. From 2009 to 2012, Mr. Morris served as the Vice Chairman of the board of directors of the Sanders Morris Harris Group, a financial services and wealth management company he co-founded in 1987, or SMHG. 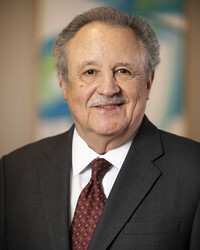 Since its founding, Mr. Morris has served in various capacities with SMHG, including Executive Vice President and Director of Investment Banking, President and Chief Executive Officer and a member of the board of directors of SMH Capital, a subsidiary of SMHG, and Chief Executive Officer and a member of the board of directors of SMHG. Since 2012, Mr. Morris has continued as an employee of Sanders Morris Harris, Inc., a former subsidiary of SMHG. From 1980 to 1986, Mr. Morris served as the Chief Operating Officer of Tatham Corporation, a privately-held company engaged in natural gas transportation and marketing and oil and gas exploration and production. Mr. Morris began his career as an accountant at Price Waterhouse & Co. in 1967, and in 1973 joined Mid American Oil and Gas Inc. as Chief Financial Officer, eventually serving as President of the company until its sale in 1979. From 2011 to 2016, Mr. Morris served as a member of the board of directors and Chairman of the audit committee of Yuma Energy, Inc., a publicly traded exploration and production company. 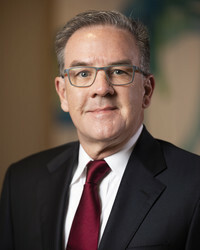 Mr. Morris has also served on the boards of several public companies, including Capital Title Group from 1998 to 2006, American Equity Investment Life Holding Company from 1997 to 2006, Tyler Technologies, Inc. from 2002 until 2005, where he served as Chairman of its audit committee, Fresh America Corp. from 1992 until 1996, where he served as a member of the compensation committee, and Deeptech International Inc. from 1988 until 1997. Mr. Morris has an extensive financial background, with over 25 years of experience in various aspects of the investment banking business. Mr. Morris received his Bachelor of Business Administration Degree from the University of North Texas, and also holds a Certified Public Accountant certificate from the State of Texas, along with several securities licenses. Mr. Groeschel has served as a director of the Company since August 2011. Since 1996, Mr. Groeschel has served as a founding pastor of LifeChurch, one of the largest churches in the United States. Since founding LifeChurch, Mr. Groeschel has served on its Board of Directors. Under Mr. Groeschel’s leadership, LifeChurch has grown to 29 locations in nine states. Mr. Groeschel received a Bachelor’s Degree in Business Marketing from the Oklahoma City University, a Master’s of Divinity Degree from the Phillips Graduate Seminary and an Honorary Doctorate of Human Letters from Southeastern Christian University. Mr. Groeschel is a frequent speaker at various domestic and international forums and an author of a number of books. Mr. Johnson has served as a director of the Company since September 2015. Since August 1981, Mr. Johnson served in various roles at Phillips 66 and its predecessors Phillips Petroleum Co. and ConocoPhillips Company, which was formed by the merger of Philips Petroleum Co. and Conoco Inc. in 2002. Mr. Johnson most recently served as Vice President, Controller and principal accounting officer of Phillips 66, a publicly traded company engaged in mid-stream, chemicals, and refining, from April 2012 until his retirement on December 31, 2014. During the same period, he also served as Vice President, Controller and principal accounting officer of Phillips 66 Partners GP LLC, the general partner of Phillips 66 Partners LP, a publicly traded pipeline subsidiary of Phillips 66. From June 2010 until April 2012, Mr. Johnson served as General Manager, Upstream Finance, Strategy and Planning at ConocoPhillips. Prior to that, Mr. Johnson’s tenure at ConocoPhillips included his service as General Manager, Downstream Finance from 2008 to 2010 and General Manager, Upstream Finance from 2005 to 2008. Mr. Johnson also served on the board of Chevron Phillips Chemical Company LLC, a joint venture of Phillips 66 Partners LP and Chevron Corp., and its audit committee, where he was co-chairman, from April 2012 until December 2014. Mr. Johnson has an extensive financial and accounting background, with over 33 years of service in the oil and natural gas industry. Mr. Johnson received his Bachelor of Science Degree in Accounting from the University of Arkansas, and also holds a Certified Public Accountant certificate from the State of Oklahoma. 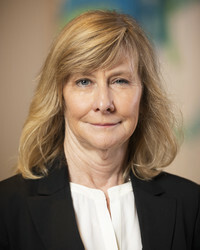 Ms. Adams has served as a director of the Company since March 2018. Ms. Adams served as Senior Vice President of Health and Safety, Project and Procurement with Phillips 66 from May 2014 until her retirement in October 2016. From 2008 to May 2014, Ms. Adams served as President of Transportation for Phillips 66 and ConocoPhillips. Prior to this position, Ms. Adams worked as general manager and Chief Procurement Officer for ConocoPhillips beginning in 2005. From 2003 to 2005, Ms. Adams served as general manager, International Refining, for ConocoPhillips. Before this role, Ms. Adams served as general manager, Global Downstream Information Systems following the ConocoPhillips merger in 2002. Ms. Adams began her career in 1983 as a process engineer in the refining division of the Conoco Global Engineering Department before moving through a variety of business development, planning, supply and trading and operations positions. She also served on several of ConocoPhillips’ joint venture boards during her tenure at ConocoPhillips. In addition, Ms. Adams has served on the board of directors of MRC Global Inc. and as a member of its audit committee and its compensation committee since October 2017. Ms. Adams served two full terms on the board of BakerRipley from February 2012 to February 2018 and currently serves as a member of the Foundation Board of Trustees and the Board of Governors for the Oklahoma State University. In 2014, Ms. Adams was inducted into the Oklahoma State University College of Engineering, Architecture and Technology Hall of Fame and in 2015, the Oil and Gas Diversity Council named Ms. Adams to the list of the Top 50 Most Powerful Women in Oil and Gas. Ms. Adams received a Bachelor of Science degree in chemical engineering from Oklahoma State University in 1983. Mr. Westerman has served as a director of the Company since October 2017. Mr. Westerman has served as a Trustee and Director of the Westerman Family Trusts and Westerman Interest Inc., respectively, since 1999. 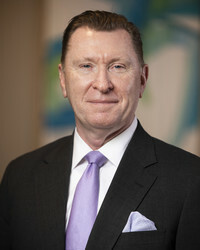 From September 2011 to December 2012, Mr. Westerman served as Senior Executive Vice President and Chief Business Development Officer of J-W Energy Company, a diversified energy company engaged in exploration and production, energy services, midstream and manufacturing, among other businesses. 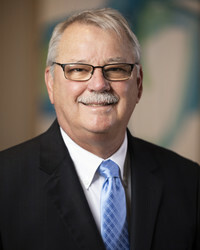 Mr. Westerman joined J-W Energy Company in 1984 and, during his time there, he served in several other leadership roles, including as Chief Operating Officer. Prior to joining J-W Energy Company, Mr. Westerman served in various positions at Phillips Petroleum Company, Terra Resources and Kerr-McGee Corporation. Mr. Westerman has served on the Board of Directors of J-W Energy Company since 1996. Mr. Westerman has also served on the Board of Directors of Oakwood Bank since February 2018. Mr. Westerman previously served as a Director of Vintage Bank, Benedictine College, the Dallas Petroleum Club, the Dallas Wildcatters Association and the Dallas Hard Hatters Association. Mr. Westerman is also a member of the National Association of Corporate Directors and the Society of Petroleum Engineers. Mr. Westerman earned his bachelor’s degree in petroleum engineering from the University of Oklahoma and is a Registered Professional Engineer in the State of Texas. Mr. Streller has served as a director of the Company since August 2006. In 1992, Mr. Streller founded the Scott Streller Insurance and Financial Services Agency (Farmers Insurance), which has been recognized both regionally and nationally as one of the top agencies within the Farmers Insurance Group of Companies. Mr. Streller is active in the community and has served in a variety of leadership roles in local public and non-profit organizations. Additionally, Mr. Streller frequently serves as a guest lecturer at local universities and insurance and financial services seminars. Mr. Streller earned a Bachelor’s Degree in Business Management from the University of Central Oklahoma. In addition, Mr. Streller received a Master’s in Athletic Administration from Oklahoma State University.